As I mentioned a couple of days ago, the release of the high-end enterprise-class Palm Treo Pro has literally stunned me and been a complete revelation – I would probably have to go back to the Treo 600 some four years ago to match the level of excitement that I have felt since getting this smartphone in my hands. I absolutely love my existing very trusted Centro and the Palm OS but I can already tell you that it’s going to be nearly impossible for me not to switch to the Treo Pro as it offers such a huge leap in performance and mobile experience. From a hardware perspective alone the Treo Pro is undoubtedly exactly the device that Treonauts have been waiting for years to get as it meets almost every single design and specifications criteria that we’ve wanted. In this respect, the Treo Pro smartphone highlights the single most important milestone yet in Palm’s ongoing corporate transformation and opens a completely new door to a much brighter future. 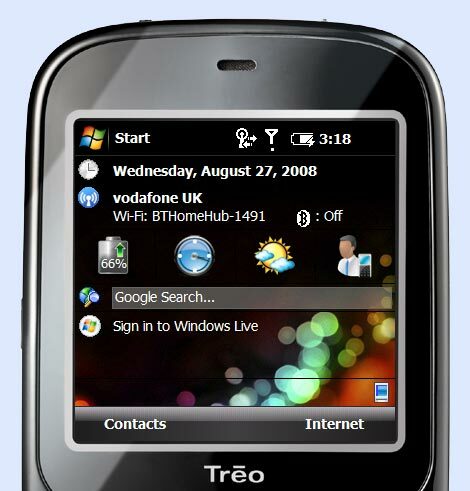 From a software perspective there is no doubt that the major sticking point for many (particularly existing Palm OS users) will be the Windows Mobile operating system that the Treo Pro runs. The fact is that my experience has shown that Windows Mobile has come a long way and become increasingly more “friendly” and usable. The key point however is the fact that the stunning hardware design of the Treo Pro is finally giving me the energy to make the switch to WinMo – I’m basically willing to compromise a little to gain access to all the many other benefits this smartphone offers. More importantly still is the fact that the Treo Pro design engenders a level of passion that had almost completely disappeared from Palm smartphones in recent years – there isn’t a single person that I have shown it to (devout BlackBerry and iPhone fans alike) that didn’t feel good holding it in their hands. Where it previously often appeared that narrow-minded accountants were in charge of design at Palm it’s clear that energetic and passionate artists have now thankfully firmly taken over. The Treo Pro is the first Palm smartphone in years that can proudly stand tall on its two feet without the need of crutches. A perfect example of how quickly the Treo Pro appears to already have won the hearts and imagination of Treonauts is the result of our recent “Is the Treo Pro hot or not?” poll below. Not only has the poll now broken past the 1,000 votes but even more importantly in the last seven days the balance has steadily increased in favour of a “Super Hot” rating from 40% to 50% (more than statistically relevant) while the combined overall positive “Hot” rating is now a staggering 92%. Is the Treo Pro hot or not? Within this rather cheerful context, let me now take you through a closer look at exactly where and why the Treo Pro is so Super Hot. At long last the Treo Pro delivers a completely revamped form-factor design which is ultraslim (so thin it actually fits in an iPhone case) and ultraslick with a smooth black casing – it’s basically the coolest looking smartphone Palm has produced to date (even when you can’t see its full form in total darkness below) and may very well be the near perfect form-factor for any keyboard + touchscreen smartphone. As I mentioned in my Treo Pro Preview, it looks a bit like a high-tech polished black pebble – a Zen of tranquility on the outside but one that also happens to be bursting with energy inside (thanks to a fast processor, 3G data, WiFi, GPS and a whole lot more). The whole smartphone just seems to be made of one piece as opposed to glued together from different parts. One very minor issue is the fact that because the Treo Pro is so shiny and black it has the habit of visibly accumulating your fingerprints both on the screen and at the back. This is quickly remedied by keeping a Microfiber Cleaning Cloth in your pocket and I have to admit that I’ve actually developed a particular pleasure polishing my Treo Pro every so often and bringing it back to its full shine. The Treo Pro also finally offers Palm’s first flush crisp high-resolution (320x320 pixels) touchscreen and it’s evident that this makes a huge difference both for the overall look and feel of this smartphone as well as more importantly how much easier it makes it to get to even the smallest icons and corners. Thanks to the much easier access to the full touchscreen Palm has for example now been able to remove the physical “soft buttons” found on other Windows Mobile devices as you can now simply and quickly use the on-screen buttons instead. The actual full-size 320x320 screenshot taken from my Treo Pro above should help you to get an impression for how good and crisp its display is. In terms of screens, the next step for Palm will be the introduction at some point in the future of either a 480x320 or 480x480 resolution screen but for now this one certainly doesn’t get any complaints from me (aside the fact that it could be just a bit brigther). I particularly like the fact that in addition to the new flush touchscreen Palm’s designers have maintained the same smoothness with the main four Start, OK, Calendar and Messaging buttons while slightly raising and rounding the left green Phone/Send and right red Power/End buttons (which are both made from a clear hard resin). At the same time, the redesigned round 5Way button at the center remains as good and easy to use as before and there is also conveniently no need for the physical soft buttons as the flush touchscreen is so immediately accessible (Contacts + Internet areas above). 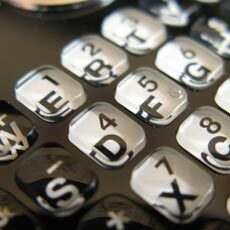 Some people have argued that the use of the same Centro keyboard design on the Treo Pro was somehow “inferior” but I strongly disagree. Not only is the keyboard here a full 10% wider but the “bouncy” rubber keys (below right) offer excellent tactile response and Palm has also ensured that the Space bar is a harder plastic. Overall even with my big hands I had absolutely no difficulties whatsoever typing (either in daylight or in total darkness thanks to the backlight). At the same time, I cannot stress enough the benefits of having a physical full QWERTY keyboard compared to a device that has an on-screen virtual keyboard. In this respect it is also worth remembering that this Treo Pro is the only high-end smartphone that offers an all-in-one touchscreen + full front keyboard + 3G + WiFi + GPS (BlackBerry Bold for example has no touchscreen and iPhone has no keyboard). In addition to the always ultra-convenient ringer switch button at the top of your device (basically a slider that quickly silences your smartphone when you’re in a meeting or another place where you don’t want to suddenly disturb others with your ringtone or alarms) there is now also a dedicated Power button that quickly and equally conveniently switches just your screen off (press once) or all phone, data and WiFi connections (press and hold for a couple of seconds). In the meantime, Palm’s designers have so elegantly merged the side buttons into the device that you would hardly know they’re there (they’re almost completely flush). As before, on the left of your smartphone you’ll find the volume Up/Down buttons as well as one dedicated button that can be assigned to launch any application that you like (the default is Camera). At the same time, the right side of your Treo Pro smartphone now offers both a deidcated WiFi button (press once to quickly switch it On/Off or press+hold to open your WiFi connections) as well as the IR port. There are two other welcome additions on the Treo Pro. The first one is the use of a more convenient high-speed microUSB Sync & Charge connector (uses USB 2.0) and the second is the use of an even more convenient 3.5mm headset port which now means that you’ll be able to plug any one of the thousands of standard high-quality headsets available without the need for a 2.5mm stereo adapter. 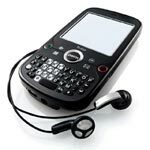 Even though the Treo Pro back speaker is visibly smaller (a good thing from a design perspective) and therefore not as powerful as on previous Treo or Centro smartphones the fact is nonetheless that the volume that it generates is more than loud enough to listen to music and engage in speakerphone calls. Above you will find a short audio sample from a call that I made testing both the on-board Treo Pro microphone as well as its rather good built-in speakerphone. I’ve always loved the solid memory card expansion capabilities that Treo smartphones offers and the Treo Pro provides a microSDHC slot that I happily use with my existing 8GB cards (it supports up to 32GB). The slot is accessible by just removing the back cover and thankfully not under the battery but easily within reach on the side. 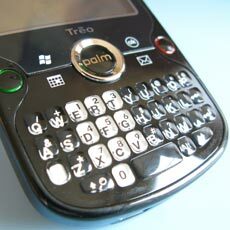 A welcome addition is that Palm has finally reintroduced a solid metal stylus as standard with the Treo Pro. It appears that previous rumours that the metal stylus might interfere with the Treo radio may have been true and this is also why presumably Palm has now placed the stylus at the bottom as opposed to the top of the device. Although the Treo Pro is already ultraslim you don’t realize just how small it is until you remove both the back cover and the battery (image below) – you’re left wondering how anybody could have crammed such a powerful smartphone with a touchscreen and full keyboard into such a small device. The huge and powerful 1500mAh battery which provides a very healthy five hours of talk time (PCMag actually claims 7 hours 8 minutes continuous talk time!) appears to take up some 40% of the space on its own. At the same time, I really like the introduction of a full back cover as you now get a beautifully smooth surface instead of one interrupted by the half battery cover used previously. It’s true that the cover can sometimes prove a little difficult to remove but here again I’m willing to dismiss this in favour of the design benefits it offers. NOTE: Please check back tomorrow as I will continue this Treo Pro review with more information and my take on the internal hardware and bundled accessories. Can you comment on web browsing? I have a 680, and I find web browsing to be the biggest disappointment with the phone. A few friends have IPhones where the browsing is considerably better. Could you provide insights as to how well the phone browses the internet? In particular, I'm curious about non-mobile based web pages and access to video feeds. Well I think I'm sold on the hardware. What I'm really interested in is the stability of WinMobile. What is it like using the device? How often do you need to reboot? Dropped calls? General stability info of this implementation of 6.1 would be very helpful. 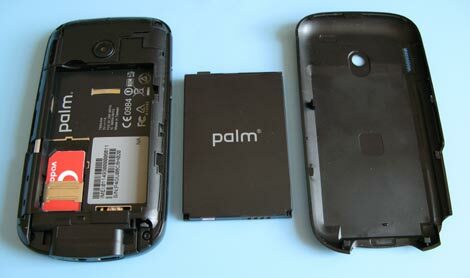 Thanks for a great review, seems finally like an exciting device from Palm, I can't wait till I get my paws on it. Just a comment: cite: "this Treo Pro is the only high-end smartphone that offers _both_ a touchscreen + full keyboard". You surely can't be serious with that statement? Benny: the iphone browser is probably the best smartphone browser on the market and the 680 is probably one of the worst. I would put WinMobile's in the middle of the two. I believe you can also put Opera on this device if you want. Well I think I'm sold on the hardware. What I'm really interested in is the stability of WinMobile on the Pro. What is it like using the device? How often do you need to reboot? Dropped calls? Internet browsing? General stability info of this implementation of 6.1 would be very helpful. You obviously have an example in mind of a smartphone which has both a touchscreen and a full keyboard. To what smartphone are you referring? Any word on a US carrier picking this up? Also, what about the possibility of a CDMA version? Andrew, about this: "In this respect it is also worth remembering that this Treo Pro is the only high-end smartphone that offers _both_ a touchscreen + full keyboard (BlackBerry Bold for example has no touchscreen and iPhone has no keyboard)." Dont forget Samnsung i780 is also high end touchscreen and keyboard. I love Treo Pro too but we must be right. To my mind comes for instance the HTC Touch Pro, HTC Kaiser, iMate Ultimate 8502(+ several more iMate models), Toshiba Protege 900 and several others. Andrew is probably referring to phones with the keyboard on the front and not the ones with moving parts (ie a slide out keyboard). Benny - in terms of web browsing my experience has been rather good. Pocket Internet Explorer itself is just OK as a browser (still better than PalmOS) but the fact is that the new Opera 9.5 + Skyfire + Iris browsers all deliver a stunning browsing experience (I will post video and review these in the coming weeks). Thanks to both superfast 3G and WiFi data connectivity normal web pages are quickly viewed and load in a snap - so fast in fact that I'm no longer even concerned about ensuring that I find mobile-optimized pages. In terms of video streaming just take a look at my Kinoma Play review from yesterday. Dan - overall Windows Mobile has been extremely stable. Even though I'm still really a novice on this operating system I've managed to quickly understand how to maximize its performance and ensure that any errors are reduced to a minimum. In this respect my experience is that in 90% of cases it is actually third-party apps that can cause problems and not the native Windows Mobile apps. Overall I would rate WM6.1 as "very stable". Juraj + Manuel - the Samsung i780 is missing both GPS and IR ports and therefore doesn't make it in the same league as the Treo Pro but I'll amend the post to clarify this point. Also, the HTC Touch Pro & Kaiser + others only have a slide-out keyboard which is nowhere near as practical. I'm heartened to see this long-time-in-coming step towards a better form factor and more modern design approach. All that remains to be seen now (given, I hope that, future designs look forward and not backward) is to see how the new OS shapes up. WM may be great for some but it's a slippery path for Palm until they can bring out their differentiator - Nova. tgwaste - I'm totally with you on that, I am anxiously awaiting a release date so I can get my hot little hands on one of those beautiful new Treos :) I'm currently with Helio and thought the Ocean would be a nice bridge between work and personal use - guess what? it ain't. Not to get off subject, but I never saw the 2nd part to yout Treo 800w review. Is that coming too? Ok, the hardware is great. (I still prefer some aspects of the 800w, though I wouldn't switch to Sprint.) I'll even go so far as to say the Pro is the first Windows Mobile Treo I might actually use myself (rather than pass along to someone else) if one came my way. dmm - I'll eventually look into other PIM solutions that you can sync to with Windows Mobile as well. I still think the keyboard is the biggest flaw in this phone. Yeah, it is bigger than the Centro's, but its still not as nice as the previous Treo phones. I also wish Palm would include a flash for the cameras. Its a very simple thing and would improve quality of pics taken in low light situations. I also would have liked to see the soft buttons remain for this model. The 800w has them and I like having actual buttons to press instead of screen presses. I used to be a TREO ONLY user, but got fed up with Palm falling behind. I have both the i780 and Imate 8502 neither of which i particularly like so will take a good look at the treo. One thing to mention is software compatibility. It is worth checking out all the i780 software out there (as its also 320x320) ESPECIALLY a program called REAL VGA which allows a 4 fold increase in resolution and enables the use of today apps like HTC HOME and TODAY AGENDA. check out xda-developers and PPCSG. This nice looking" machine arrives too late (regarding the market)... If only the Palm CEO could at last wake up and stop his self-hatred process... the Palm OS would triumph again... Palm should have done this 5 years ago with a Palm OS only !!!! The Samsung i780 has GPS... not sure why you guys say it doesn't. I'm from Asia, but it should be the same spec right? In fact, the i780 processor is faster IIRC. Much as I like Palm (actually just the Palm OS's Palm), I don't see how much better the new Treo Pro is, given the price point, over the "older" i780. The price of an i780 in my country is much lower than the supposed retail price of the Treo Pro without any telco's plans since the i780 has been launched for over a year. Is it just me, or does this seem awfully close to the introduction of the 800w? They also seem very similar. Can you describe what the key differences are? ANy idea when the Palm version of these phones will be available? When is the PALM OS version coming out? 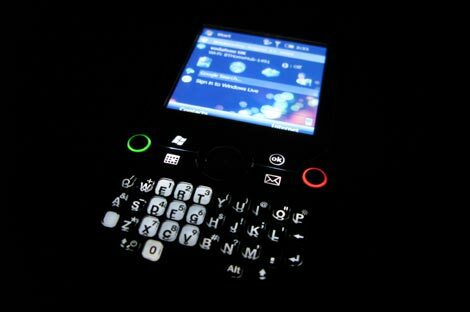 The WinMo version is worthless for PALM users. Theapps I use as a PALM user will never be available on WinMo and if they were, they would crash. 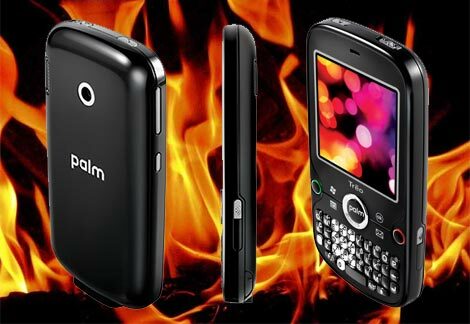 PALM VERSION NOW! As someone who has to support every Blackberry, Palm, and WinMobile device out there I can honestly say that Palm > BB >>>> WinMobile. The only reason I ever suggest someone get a device with WinMobile is if they have Exchange 2003 or 2007 and want the handy dandy sync of calendar/contacts/email. Otherwise, the WinMobile OS is clunky, poorly designed, and full of bugs. I love the new design. I'm pretty fed up with Palm's lack of development. I'm buying an Android if/when they ever come out with one. Maybe Android will run on the TreoPro! Why was my comment not posted or deleted ?